More than a dozen years have passed since ThermoGear's President; Mel Campf was very cold at a football game in the Pacific Northwest. Thinking he needed to find a way to get warm eventually led him to found ThermoGear. He assembled a team of professionals whose mission was to develop portable thermal controlled products. In recent years the warming technology this team has researched has reached the product development stage. At this time, ThermoGear's warming products are now being developed under the registered trademark, ChillBuster®. After conceptualizing the lightweight portable warming blanket, Campf recruited the department heads at ThermoGear. He first met with Wayne Fields and Tom Lewis and later attracted Pete Chambers and Jack Robinson to form his core leadership team. Mel's expertise lies in his ability to expand operations, particularly start ups, while driving sales without generating large debt loads. His skills have enabled ThermoGear to secure required funding, training skilled and motivating employees as well as strategic planning initiatives. Tom Lewis, Chief Financial Officer / Vice President of Administration. He oversees all financial and administration management for ThermoGear. Lewis is responsible for financial reporting, sales and purchase order processing as well as managing day to day corporate administrative programs. Lewis was instrumental in sourcing initial capital for the company and continues to manage corporate funding. Wayne Fields, Ph.D., Chief Technical Officer / Senior Vice President of Quality & Regulatory Affairs. He directs ThermoGear's quality control and regulatory affairs and audits all regulated in-house and manufacturing processes. In addition Fields liaises with domestic and foreign certification authorities as well as other domestic and foreign regulating bodies. Jack Robinson, Vice President of Soft Goods Development. He leads the company's soft goods product innovation and manufacturing efforts. At a separate facility he experiments with new fabrics, design prototypes to incorporate into the warming technology and manufacturing processes. Pete Chambers, Vice President of Marketing and Sales. Responsible for all marketing and sales strategies. He collaborates with other department heads to continually develop new marketing strategies and serves as the liaison with ThermoGear's corporate partners. Gary Mills, Vice President of Research and Development. He is responsible for all development and design of ThermoGear products. He also manages outsourced engineers and consultants and coordinates tech support for ThermoGear clients. All products under the ChillBuster® trademark are fully functional, lightweight and compact and operate with both battery and AC power. While the research and development of warming technology continues, ThermoGear has successfully introduced its mobile patient warming systems to the healthcare market for use in the field and in all types of healthcare facilities to include the U.S. Military. 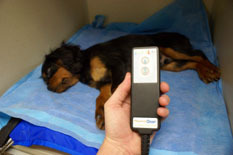 The warming system can be used by hospitals, clinics and emergency responders in the U.S. The system is also currently being used effectively on the battlefield by military surgical teams and in casualty evacuations including air and ground transport. The warming system includes single use disposable blanket covers to avoid patient cross contamination. Copyright© 2016 ThermoGear Inc., All rights reserved.